STAR is sadden by the loss of one of their members. I think Dave his son says it the best. 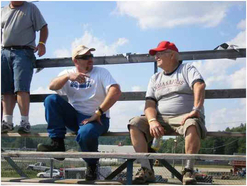 "Next to the vintage modifieds, he was the loudest thing in the pits. 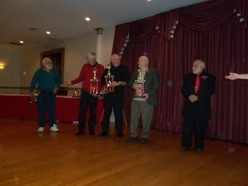 Thanks to STAR, I had the chance to race with him at Seekonk last year. That memory will last a lifetime." 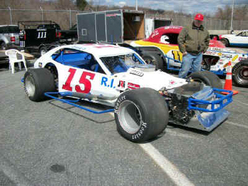 Charles could always be seen with his three sons, Jeff, Charles, and Dave at the race tracks, but in 2011 it would be a special season as Charles Jr. would bring both of his race cars to Seekonk Speedway. One for him and one for his dad. This was the first time he would get into the race car and enjoy having fun with his sons on the track. He leaves us with great memories and will be missed by all at STAR. Our prayers are with the Grassie family at this time.